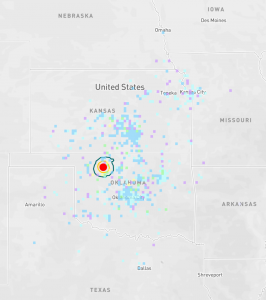 The quake was felt throughout almost all of Oklahoma and much of southern Kansas, although the shaking was light. 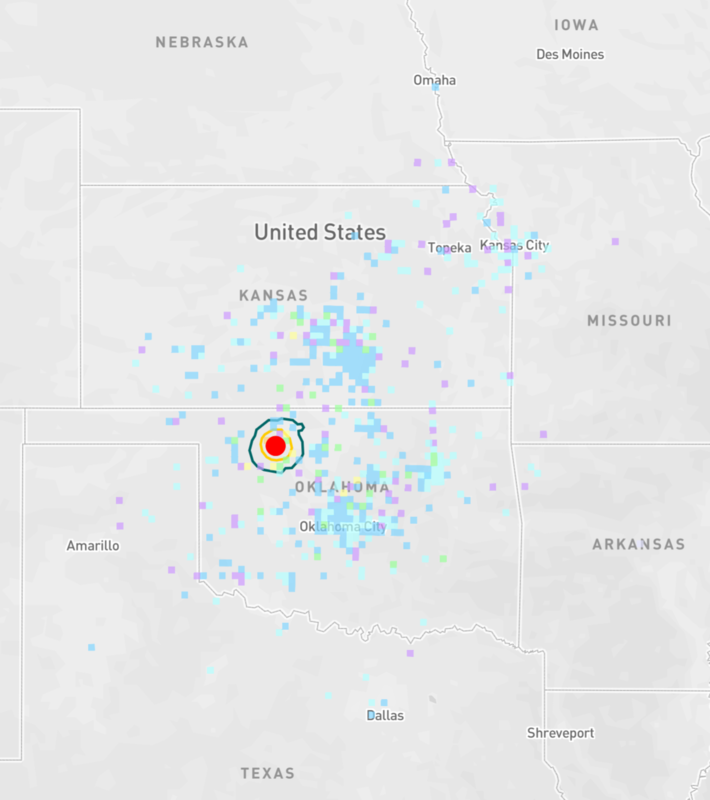 Strongest shaking was reported by the USGS Did You Feel It? close to the epicenter, which lies midway between the towns of Woodward and Enid, but the epicenter was fortunately far from urban centers.